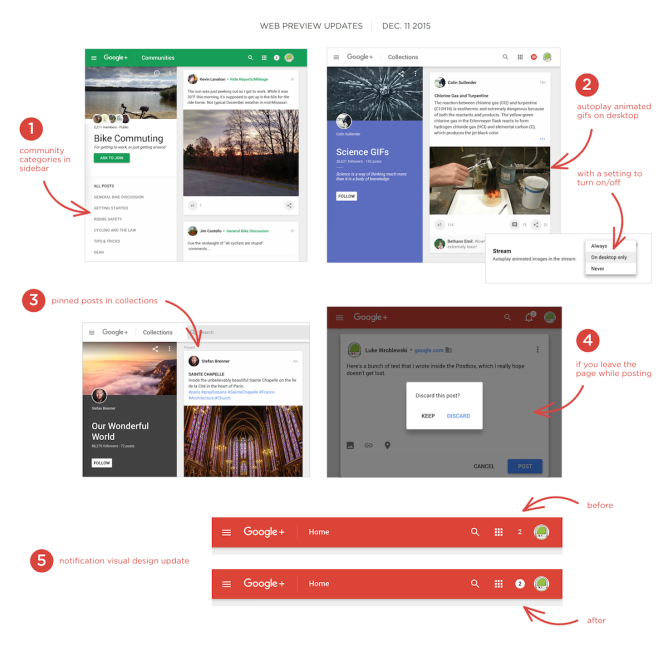 Google+'s big web redesign started rolling out as a preview almost a month ago. Although the new site was super fast and responsive, it did shed a lot of the features that users of the social network had grown accustomed to. 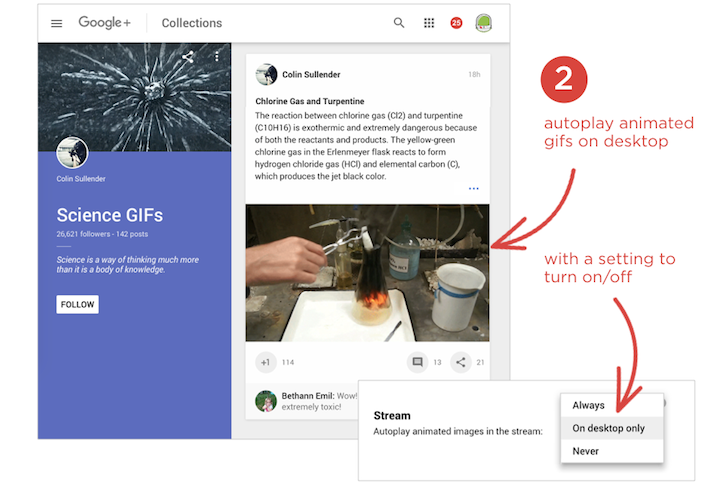 Ever since, Google+'s engineers have been busy adding back bits and pieces of the old site's functionality in a way that doesn't compromise on the updated design's speed and lightness. Another update has gone live now with a few interesting modifications. First is improved visibility of your notifications (which now sit inside a white circle) and easier access to categories within community pages' sidebars. Second is the return of the option to pin posts in Collections. Third is a warning that pops up whenever you try switching pages after having started a post. You'll be asked whether to leave and discard the post or stay and keep it. And finally, for all of us lovers of animated images to express our every emotion, Google+ can auto-play GIFs but there's a setting to disable it if you don't want things to start moving on your screen without your prior consent. The changes should already be live for you on Google+ if you've accepted the site's prompt to switch to the new web preview.